It happens all the time, when traveling overseas, and you get a new sim card for your Android from the local carrier and the internet does not work. After putting in your new SIM card you need to change the network settings on your android phone. Although the phone detects the 3G or cellular network, in order to get the internet working you will need to enter the local carriers APN information. Follow these steps to get internet working in a foreign country. – Enter the settings for your Carrier and Country. Every mobile phone service provider has their own unique setting to put in, it is like a user name and password for their networks internet service. For example if you are in Israel using Golan Telecom these are the settings you will need to use. The list is pretty thorough and have most countries and carriers like TMobile, Verizon, Vodafone, LycaMobile, O2, Orange, India Mobile, Virgin, BT. 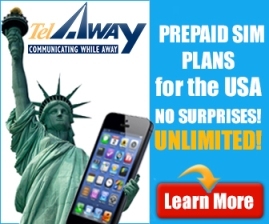 If you are traveling to the United States you should probably consider renting a sim card from TelAway, Read More. Android Actually is Better than iPhone, See Why!